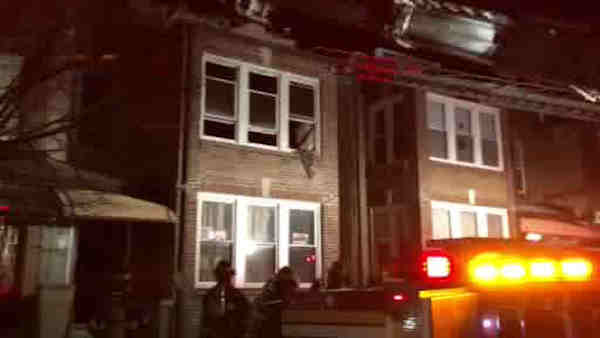 GLENDALE, Queens (WABC) -- Three adults were injured early Sunday in a house fire in Queens. A heater appears to have exploded and sparked the fire, according to the New York City Fire Department. Firefighters responded around 5 a.m. to 72-49 66th Street in Glendale where the second floor of a private home was on fire. Sixty firefighters and 12 fire units worked to bring it under control by 5:25. One person was critically injured and taken to New York Cornell for burns. Two other adults suffered minor injuries and were taken to local hospitals.